Kamut is a whole-grain food and provides you with 227 calories per cup. Kamut is the brand name for an ancient wheat known as khorasan wheat from Egypt, which was introduced to the United States in 1949. Kamut is used to produce thousands of products including breads, cereals, pastas, pastries, snacks, grain coffee, crackers, beer and drinks. As a wheat, Kamut contains gluten. Research suggests that individuals who consume products made with Kamut may experience health benefits. Half your grains should be whole grains, according to the Dietary Guidelines for Americans 2010, and consuming Kamut can contribute to your daily whole-grain intake. Kamut contains 227 calories per cup, prepared, according to the U.S.D.A National Nutrient Database. It is high in protein, and when cooked, it has 9.8 grams of protein in a 1- cup serving. As a member of the grain group, the majority of calories in Kamut are made up of carbohydrates. A 1-cup cooked serving of Kamut supplies you with 47.5 grams of total carbohydrates and 7.4 grams of dietary fiber. Another benefit of Kamut is the minimal amount of fat it has per serving. Each 1-cup serving will contribute 1.4 grams of total fat, and these are mostly from polyunsaturated fatty acids. Kamut contains an array of essential vitamins. It provides you with B vitamins, vitamin E and vitamin A, and is a good source of the B vitamins niacin and thiamin. A 1-cup serving of cooked Kamut contains 4 milligrams of niacin, or 20 percent of the daily value, and 0.16 grams of thiamin, or 11 percent of the DV. Kamut contains calcium, iron, magnesium, phosphorus, potassium, sodium and zinc. Consuming one cup of cooked Kamut provides you with 3 milligrams or 17 percent of the daily value for iron, 83 milligrams or 21 percent the DV of magnesium, 253 milligrams or 25 percent the DV of phosphorus and 3.16 milligrams of zinc, which is 21 percent of the DV. 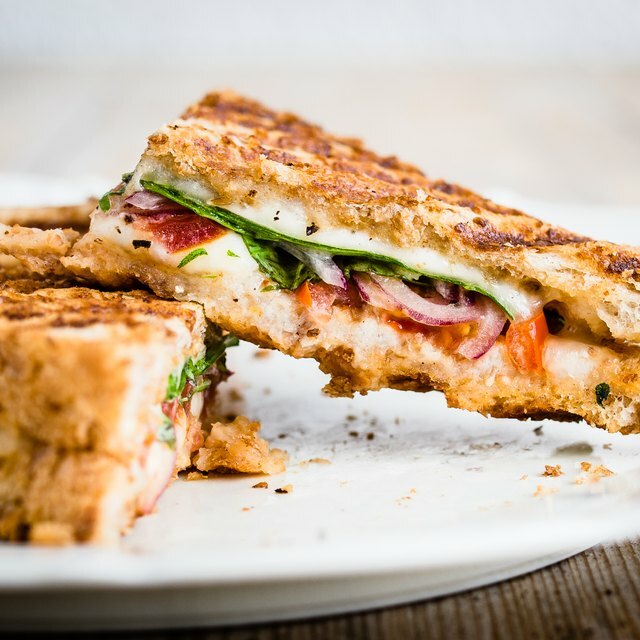 A replacement diet using products made from Kamut, which includes breads, pastas and crackers, could be effective in reducing metabolic risk factors, according to a randomized study published in 2013 in the European Journal of Clinical Nutrition. 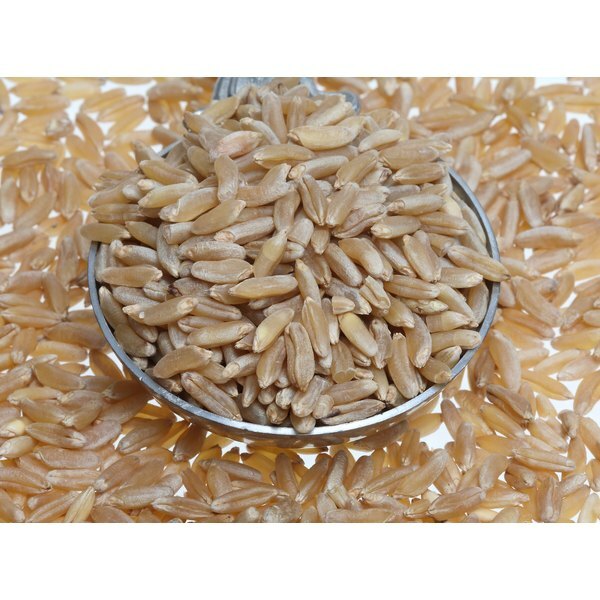 Participants consuming products made with Kamut were found to have a significant decrease in total cholesterol, low-density lipoprotein cholesterol and blood glucose, when compared to the control group that consumed products made with semi-whole-grain wheat products. The participants that consumed Kamut products also had reductions in markers of oxidative stress and inflammatory status.